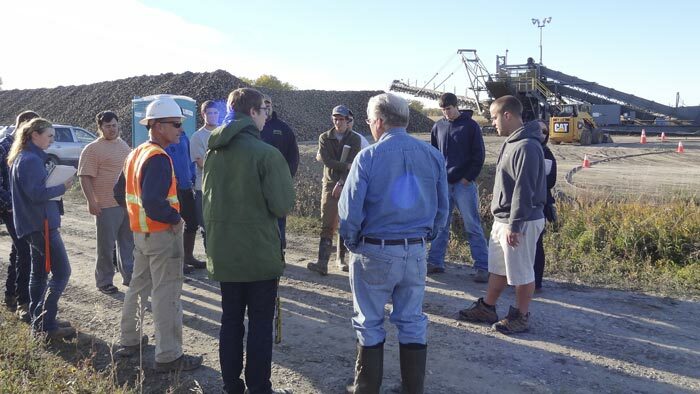 Above: John Pulasky speaks to RMC stu­dents at West­ern Sugar Co-op “beet dump” just out­side of Hunt­ley, Montana. Environmental Studies students at Rocky Mountain College (RMC) are working to develop a grounded understanding of the processes and people that shape the human and biogeophysical landscapes in Montana. Read more.